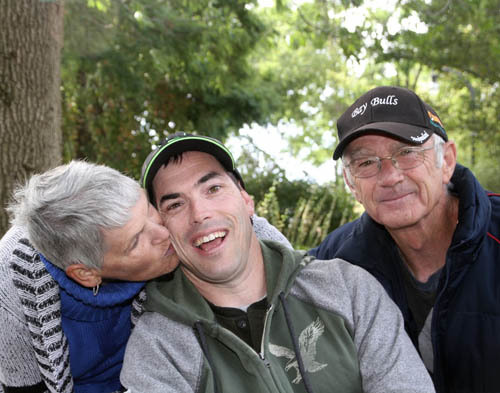 Shared Dreams for Independent Living was founded, in November 2013, by five families who are determined to change the status quo around how people who live with disabilities enjoy their lives. Incorporated in Ontario as a Not-for-Profit corporation in November 2015, this group of families, and a growing number of community members, is working to shift the paradigm from one of providing a residential and/or developmental service to one of providing what all contributing members of the city and the province deserve – a home of their own and a life of their own design. The Corporation’s intention is to create a supportive, person-centred, family-directed and –driven, permanent home for five young men with developmental challenges, who have chosen to live together. This group of Peterborough families is working to support local agencies and various levels of government to find solutions that meet the unique physical and developmental challenges of their sons, while ensuring that their family values of love, laughter, faith, commitment and sharing remain strong. Christopher Cannon, son of Christine Shea-Cannon and Greg Cannon. Matthew Elliott, son of Marg and Larry Elliott, and brother to Scott and Erin. Sean Ellis, son of Keith and Elsie Ellis. Jason O’Donoghue, son of Dan and Anne O’Donoghue, and brother to Kyle and Jeremy. Along with their extended families and friends, Shared Dreams is blazing the way to an “awesome” adult life, while developing an amazing option for other families. That, in general, all people who live with physical and/or intellectual disabilities, and, in particular, the residents of Shared Dreams, are recognized as the authority over their own lives, and enjoy supportive, person-centered, family-directed and -driven, permanent, sustainable homes. 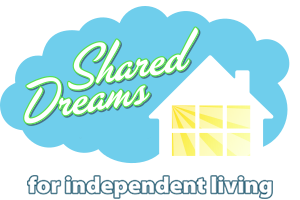 Shared Dreams for Independent Living is a person-centered, family-directed, permanent home for persons living with developmental challenges who have chosen to live their lives together, in a well-established community. The objectives are consistent with those of the Corporation’s community partners, as individual needs and goals are addressed, new connections are created, and respect and inclusion are promoted. Shared Dreams for Independent Living values the principles of self-determination and diversity, and supports the growth of independence, natural support networks and shared life experience. 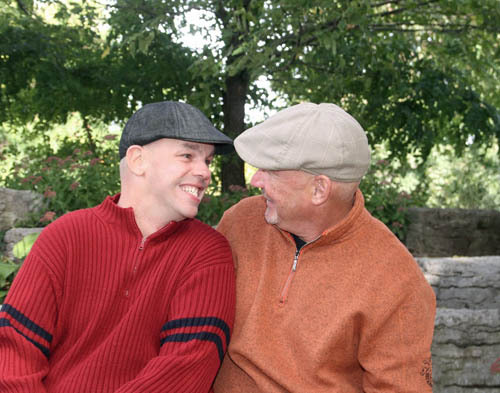 Family and community partnerships are necessary to create and sustain a supportive, person-centered, family-directed and -driven, permanent, sustainable home for people who live with unique abilities and disabilities and who have chosen to live together. As a Corporation, Shared Dreams has the responsibility to show what is possible when people who live with disabilities, their families and the community become partners in envisioning a future where people live into their best lives, outside of institutional programs and service systems. Community partnerships that nurture individual hopes and dreams, as well as address needs and goals, while promoting respect and inclusion. That the housemates, who have varying support needs, have opportunities to utilize their many strengths and abilities while experiencing personal growth, independence, and meaningful community involvement. To foster and sustain relationships and partnerships with other community service agencies serving persons living with disabilities for the purposes of attaining the above-noted objects. The families know that supporting children with complex developmental challenges well into adulthood is a critical stressor on family dynamics. They acknowledge that many parents do not have the support or resources needed to join with others in creating a workable plan, as embodied in Shared Dreams for Independent Living. This innovative housing solution provides a template, which others may adapt according to their own needs. 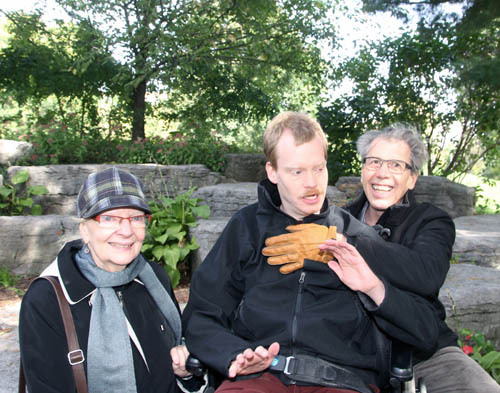 Shared Dreams for Independent Living will benefit the next generation of families by modelling interdependence between people who live with physical and/or developmental disabilities, families, government services, and community programs.